Posted on January 3, 2015 by Hawaii's Local Buzz. For chocolate lovers, there is nothing more indulgent than biting into a mouth-watering piece of high-quality chocolate. The rich layers of flavor and the smooth, creamy texture are simply luxurious. What most chocolate lovers don’t realize is how difficult it is to produce truly high-quality chocolate. From the time the Cacao seeds are planted to the time the chocolate is packaged, chocolate makers face multiple challenges and must put their heads together to create solutions so that their product continues making its way to your lips. 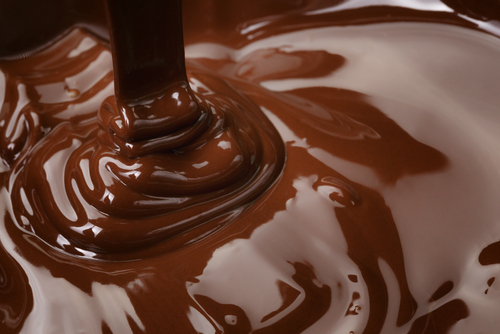 In recent decades, chocolate has transformed from a luxury item to a dessert staple. The demand has risen dramatically, but challenges including disease and climate change have kept Cacao production from adequately meeting these demands. One solution has been to develop Cacao plants that produce more pods and are bred specifically for resistance to disease. Unfortunately, focusing on these characteristics does not favor the flavor of the chocolate produced by these plants, resulting in more bland chocolate without the nuances that make it a true indulgence. Another solution adopted by many mass producers has been to reduce the amount of cacao used in their chocolate and replace it with other flavorings. Some have gone so far that they cannot legally call their product chocolate anymore! To make real chocolate, with high-quality Cacao beans and specially blended flavors, it takes a significant amount of work and quality control. There are several varietals of Cacao and each tastes different depending upon the region in which it grows, so there are a lot of factors going into the selection process. If you use only one type of Cacao, the flavor is simple and sometimes too strong. By blending different sources, a nuanced balance of flavors is achieved. It’s that balance and the complicated undertones that accompany it that give chocolate its rich flavor and gives the chocolates of different companies their unique taste. We chose Guittard for our chocolate supplier precisely because of their dedication to creating real, high-quality chocolate with a delicious blend of Cacao. While they face many challenges, they have remained loyal to their values and their chocolate continues to be the best in the world because of it. Visit Hawaii’s Local Buzz to learn more about our chocolate treats from Hawaii.